One in one out dilemma. Thread: One in one out dilemma. I fancy a Black Bay 58. I have tried it twice and I’m pretty keen. But I did promise myself it’s one in one out from now on. This means that the only real candidate for the chop is my 1964 re-edition Heuer Carrera. I like this watch but wear it a few days per month, it’s a great looking watch but due to my eyesight retreating I sometimes find it difficult to read. I mainly wear my Explorer. 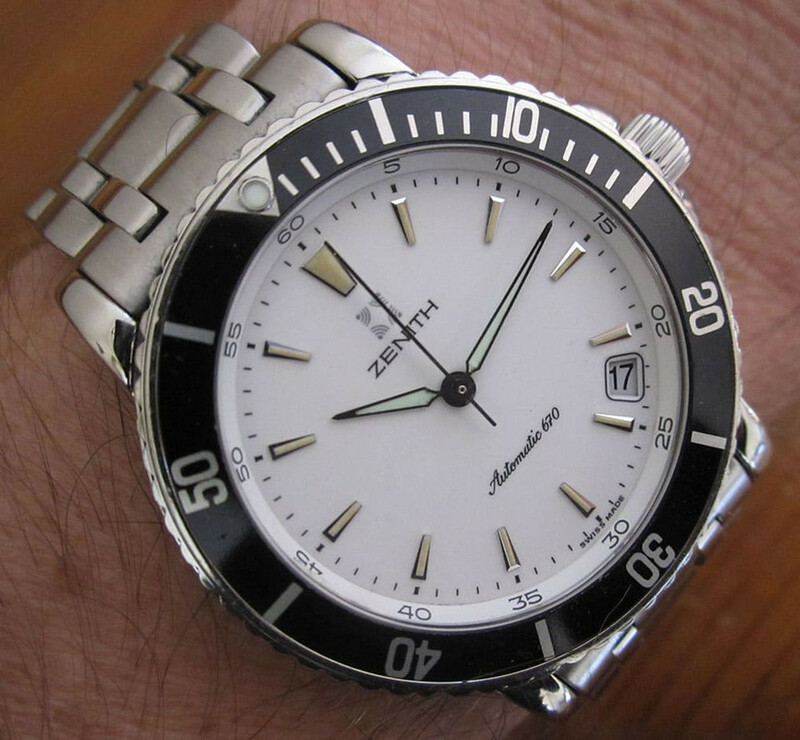 I already have a diver in my collection which is never going for sentimental reasons but this does not get much wear, again as the hands are fine and sometimes difficult to read on the white dial. So, the Black Bay 58 is really legible and a nice looking watch but losing the Carrera would leave me with no chrono in my collection and two divers. If the Zenith is staying, I dunno what the BB brings to the collection. Mainly a watch that would get worn more rather than sitting in the draw. Not an option, an engagement gift from my wife which I wore every day for 18 years,until she bought me an Explorer for our 15th anniversary. If, the only reason you are one in and one Out is a promise to yourself maybe buy the BB58 maybe used? Keep the Chrono in the collection for now? Then you can have time to bond with it and see what you think? Buying used and moving on if all fails in a month you’d lose very little. I know self restraint isn’t encouraged in these parts but I already have too many nice watches and so if I want another I think one has to go, I’m not rich and being a part time worker need to exercise some restraint. I have never sold a watch just gradual build up so I’m drawing the line. I think the Carrera is going, I’m wearing it now ... but I think I’d prefer the 58. Is your Explorer the 214270 ? As the Zenith doesn't count, forget the one in one out for this purchase. If Zenith can't go and you can't bend your rule, then there is not much of choice here. Let the Heuer go and get a Tudor, if you regret it then you can sell the Tudor and get another Heuer as I suppose it doesn't have any sentimental value. If you could, get a Tudor try it for a couple of month and then decide which one should go. 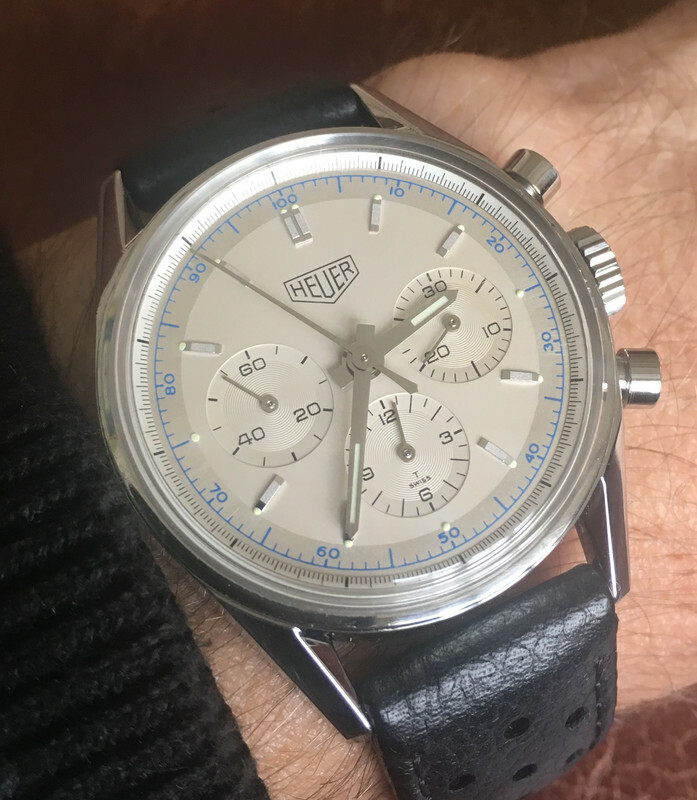 The Heuer is going ... it’s a great bit of design, a true classic. This re-issue is an almost direct copy of the original at the fraction of the price of a 60s version. With my reading glasses on I can really appreciate it but it’s just not a practical watch for me without my reading glasses, that situation isn’t going to improve so it’s going.